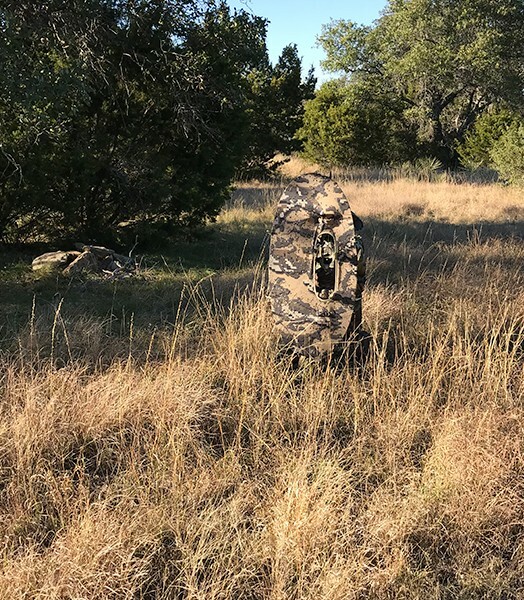 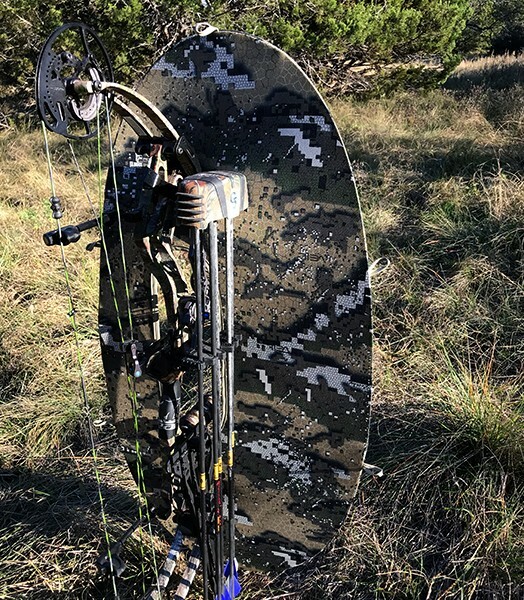 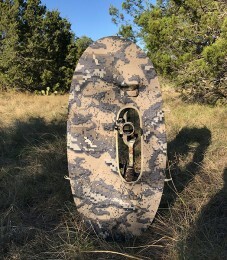 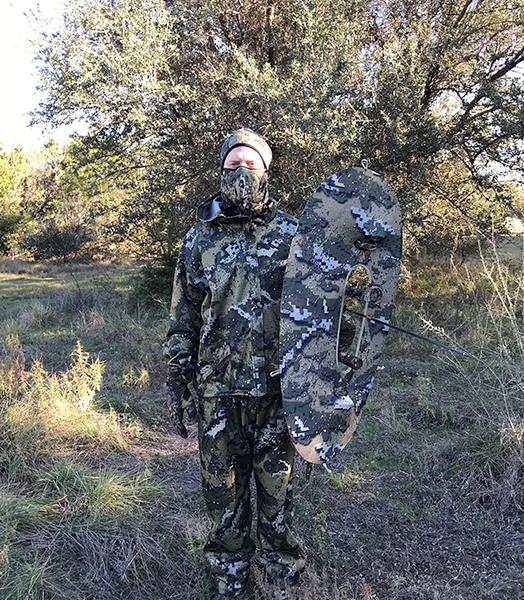 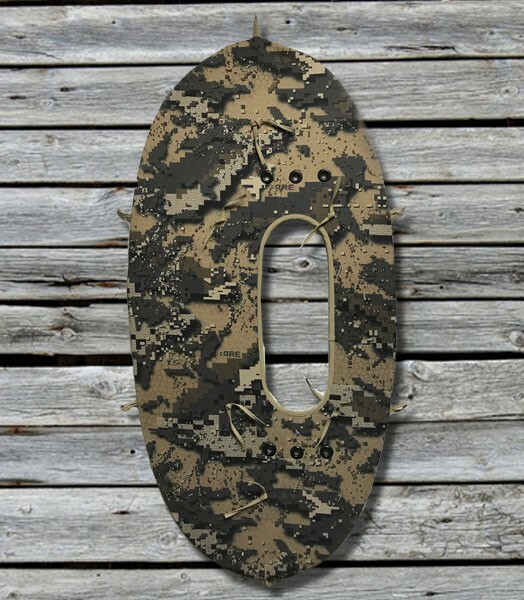 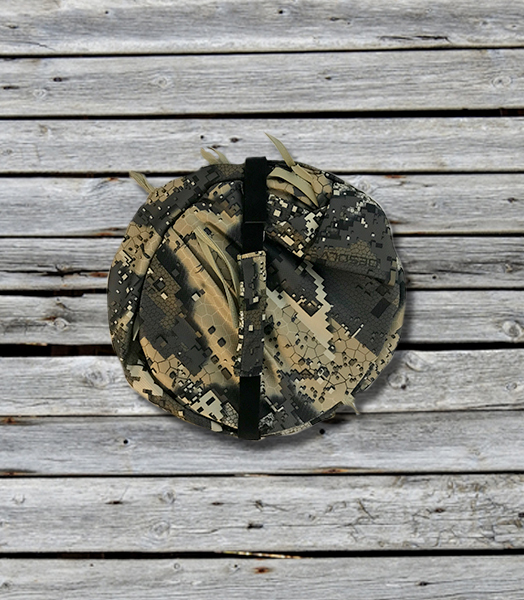 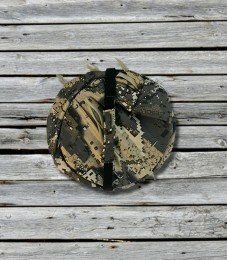 The Bow Shield from Ultimate Predator comes in 3 different configurations. 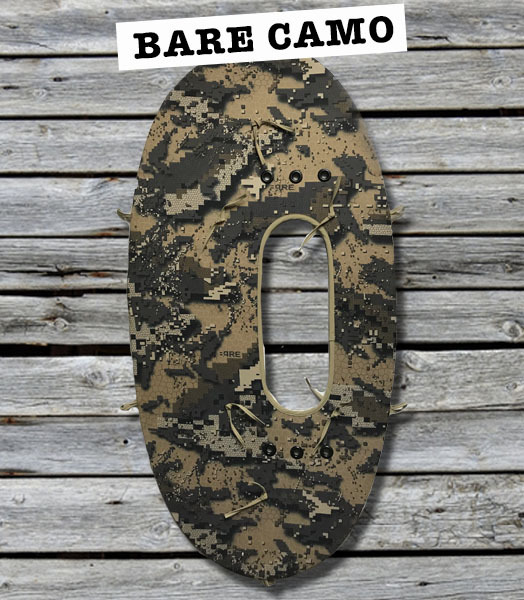 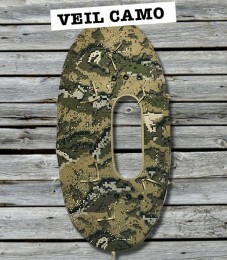 The original with Veil (light) camo on one side and Bare (dark) camo on the opposite. 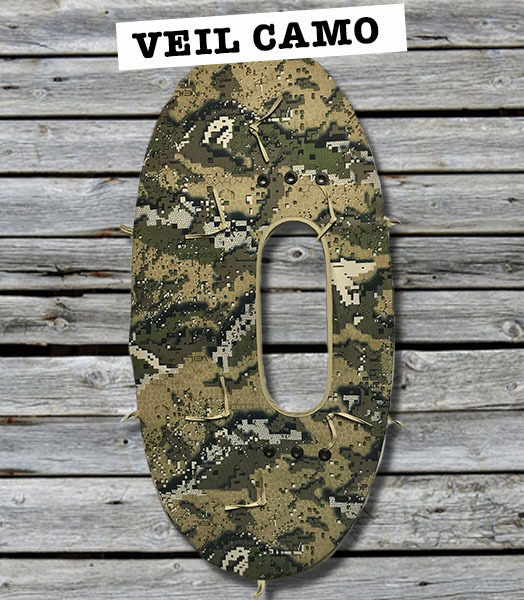 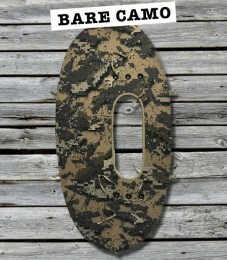 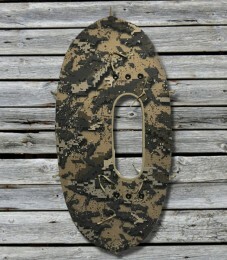 Veil camo with black and Bare Camo with black. 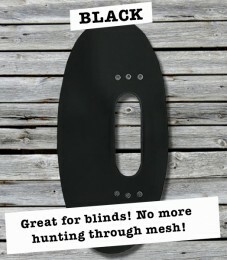 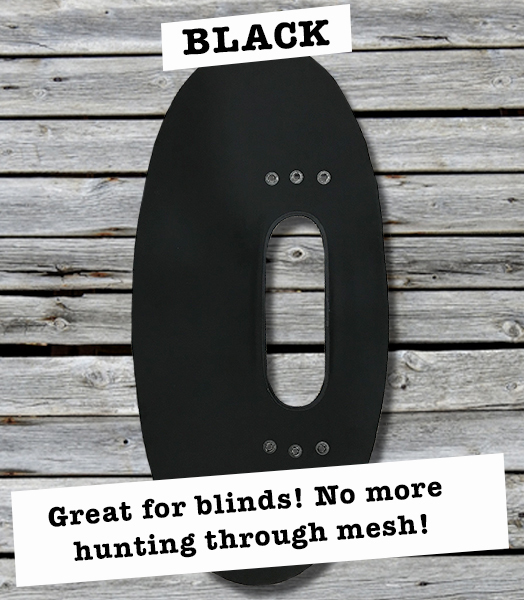 The black material was designed for use in ground blinds.